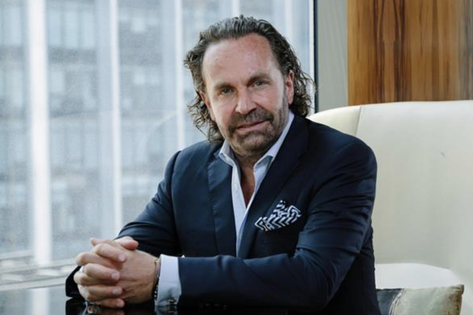 Forbes’ billionaire Thomas Flohr has followed his acquisition of XOJET with a deal to acquire jet-sharing membership club JetSmarter. As part of the Vista Global transaction, all JetSmarter investors, inclusive of Clearlake Capital and Jefferies Financial Group, will become investors in Vista Global. Flohr declined to discuss financial terms and if any cash was involved, but described the deal as primarily an equity swap. He is currently ranked #1070 on the Forbes rich list with an estimated net worth of $2.3 billion. JetSmarter’s digital technology provides Vista Global’s VistaJet increased online distribution in the $11 billion private jet charter market. The move further sets up a global battle between Berkshire Hathway’s NetJets, Directional Aviation, which owns Flexjet, second to NetJets in the fractional share and lease market, and Sentient Jet, a leader in jet cards. Last year it snapped up U.K.-based digital charter broker PrivateFly and just this week merged its own brokerage, Skyjet into the acquired brand. Upstart digital private jet booking app JetSmarter will help Vista Global challenge NetJets on Google’s digital Main Street. At the same time, private aviation companies like VistaJet and XOJET have been stepping up the human touch side of the business. XOJET reorganized its sales team to provide dedicated account managers and has been expanding its luxury partnerships, while in the past year VistaJet has launched programming to appeal to children and pets flying on its private jets, as well as offering specialized fine dining and wine programs. According to the announcement, the JetSmarter deal will close before July. Flohr said the company will continue to operate from its Ft. Lauderdale base. NetJets continues as the worldwide leader with a fleet of over 700 private jets split between the U.S. and Europe, as well as its management arm, Executive Jet Management, however, it is yet to offer an online booking app or portal.